The Louis Vuitton S/S ’14 show in Paris this year was undoubtedly the most spectacular of the season. 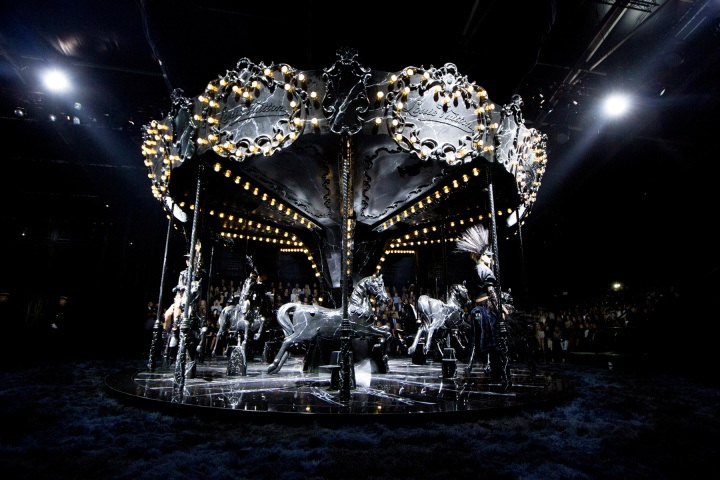 As the last show created for the fashion house by Marc Jacobs, the extravagant display included all the highlights of the designer’s previous catwalk shows: the horse carousel, the fountain and the escalators were all there to remind us of how fruitful this 16-year-long relationship was. However, this time everything was black. From the stage props to every piece of clothing (save for the occasional mid-wash boyfriend denim), no other colour was showcased. Models walked solemnly with highly ornate, 5-foot-tall feather headpieces that echoed Native American themes, a look that was mirrored in the movement of the fountain water. Each garment was rich in details, with micro nets, polka dots, feathers, sequins and diamantes juxtaposed to create layers. The predominant decade evoked was the 1920s, with tunic dresses, crew neck and demure shapes, with a nod to the Victoriana trend in the white, severe hair and make up. The whole show lent flashbacks to a derelict-yet-opulent, coal-soaked Dickensian scenery, which was strangely but perfectly offset by eighties-inspired pieces such as short, boxy blazers, circus leotards, tough boots and biker jackets. It is sad to see such a talent go, but it is time to see Marc Jacobs focus on his own brilliant lines and make room for his replacement, former Balenciaga designer Nicolas Ghesquière. Those are some big shoes to fill. On 8 October I took a train to Paris. I arrived there just after the capital’s fashion week had ended, which gave me the chance to visit beauties such as the Oh So London exhibition in the high-end department store Le Bon Marché without the hustle and bustle of all the people brought into the city by the event. 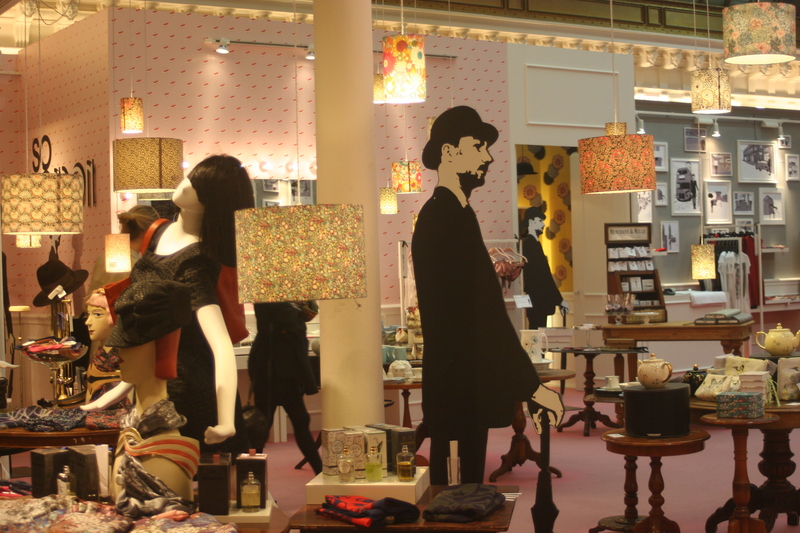 The Le Bon Marché exhibition was very well thought-out. 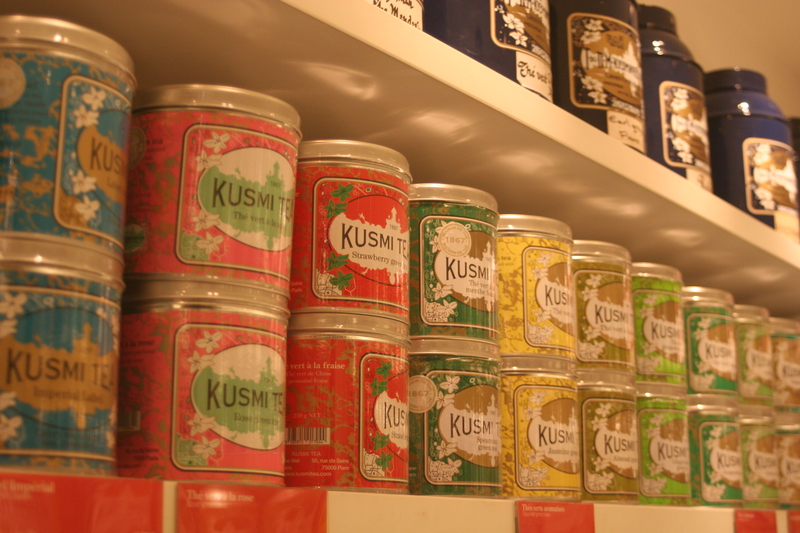 It showcased a collection of Bryan Ferry’s albums, a whole section dedicated to Kate Moss and a few collections by British celebrity-come-designers such as Lucy in Disguise (Lily Allen) and Pretty Green (Liam Gallagher). I wasn’t exactly allowed to take pictures (a mysterious plain-clothes security guard told me off as soon as I zoomed into a bunch of Lanvin ties), but I did my best. 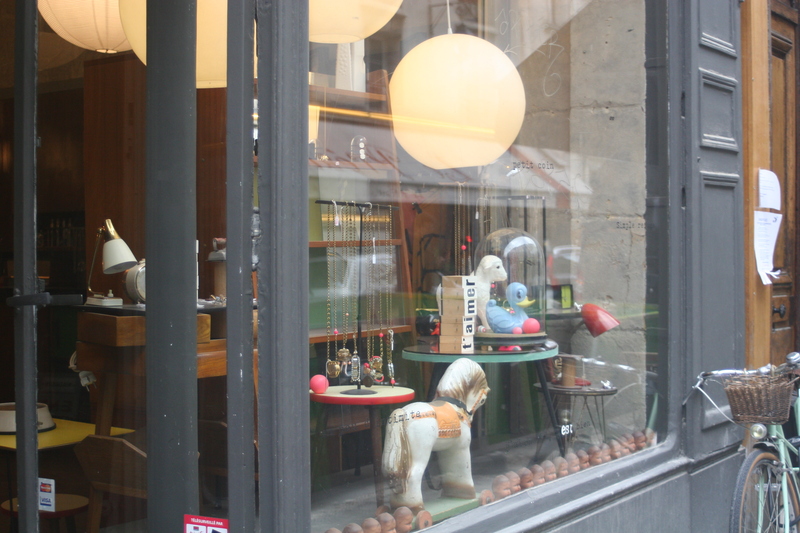 Walking around Paris you cannot avoid stumbling upon all sorts of wonderful things almost constantly. 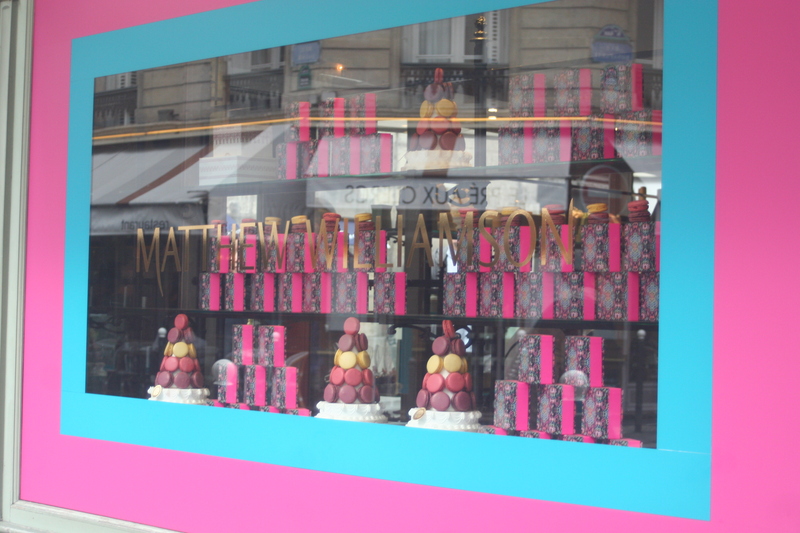 The best of my visit included a whole pink-and-blue window dedicated to Matthew Williamson’s chocolate, a Russian tea chain shop called Kusmi, a gorgeous Isabel Marant window, the biggest Zadig et Voltaire store ever seen by human eyes and a very elegant tea and candle company called Mariage Frère – Comptoir deThé (the Darjeeling candle is on my Christmas wishlist). Going back to the jewellery shop (! ), this little boutique is called BRAI exclusive and takes its name from the homonymous jewellery collection created by two of the most inventive jewellery designers I’ve met in a long time. Delphine Pariente started off her career designing bags in 1998 moving to jewellery pretty soon after and hasn’t stopped creating one-of-a-kind pieces of art since. 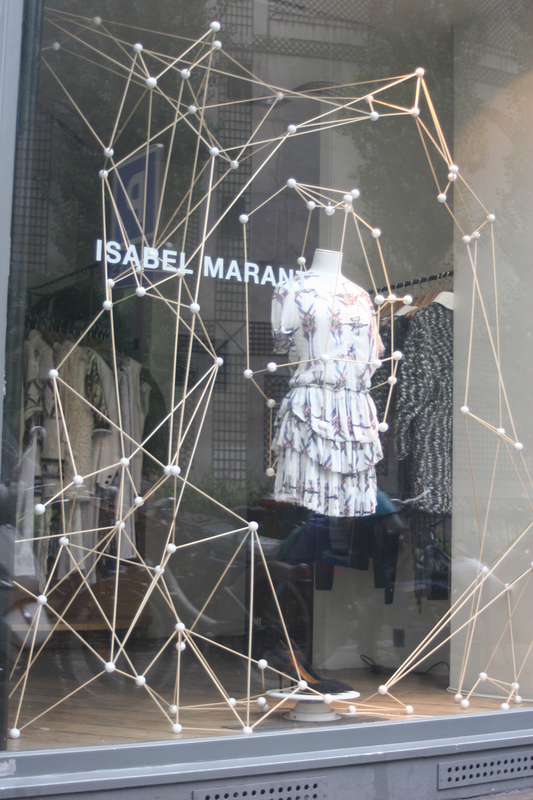 Her co-designer Claire Naa is also extremely creative and is the creator of the origami jewellery. I bought two pink gold little pendants, but it was very hard to choose. Unhappy with the huge (but seemingly not sufficient) amount of cash I had spent until that point, I went vintage shopping. I was lucky there. 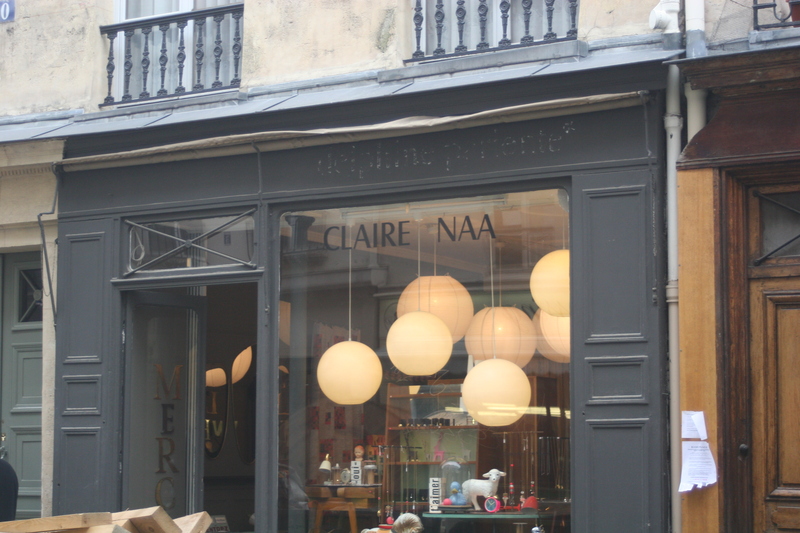 Shall we talk about how cheap quality vintage is in Paris? 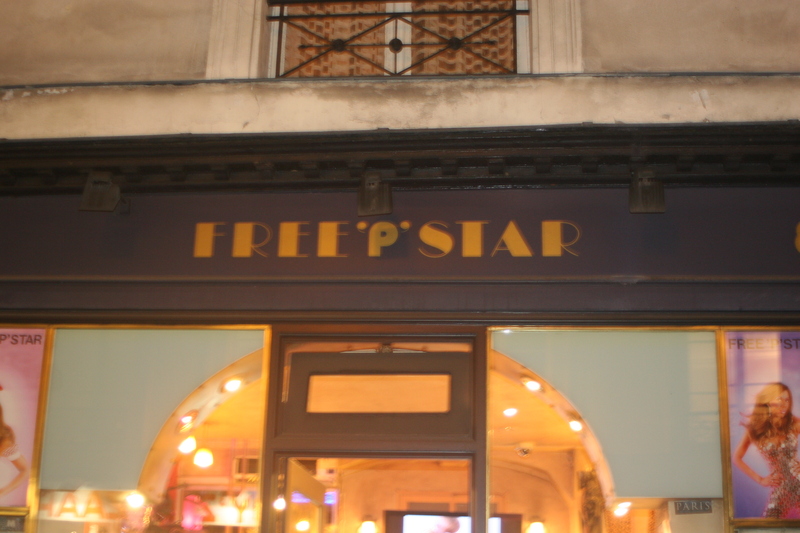 I headed to the hip area Le Marais and visited Fripes Star, Free ‘P’ Star (my favourite) and Le Verger du Prince among others. I bought a lovely blue polka dot 1940s dress, a skirt, two pairs of shoes, a jumper and a hat, all way under £20 each. Oh Paris, I want to come and see you again!